Featured: Artist’s rendition of a segment of Legends Edinburg, a 310,680 square-foot upscale student residential complex, the latest multi-family community that is coming to the city as a result of the continuing growth of both Edinburg and The University of Texas Rio Grande Valley, including its new medical school. The School of Medicine will open for the Fall 2016 semester. 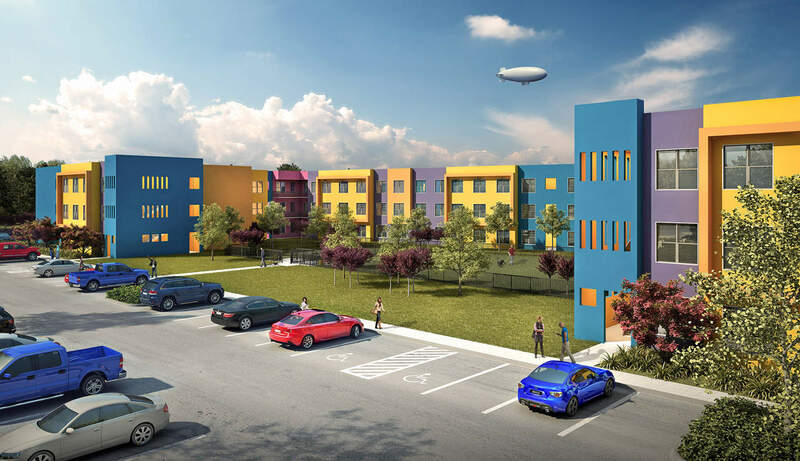 Construction has begun on a $29.1 million luxury, off-campus community designed to serve The University of Texas Rio Grande Valley in Edinburg, and which will bring 588 beds to the market, the Edinburg Economic Development Corporation has announced. Legends Edinburg is located near the corner of Chapin Street and Sugar Road, just 1/10 mile from the Edinburg campus. Legends Edinburg will be ready for move in for Fall 2017, according to Domus Development, LLC, the owner of the complex, which will feature one-, two- and four-bedroom units.